Automart constitutes a more light version. The warm tones of colours show an excellent result with no exaggerations. 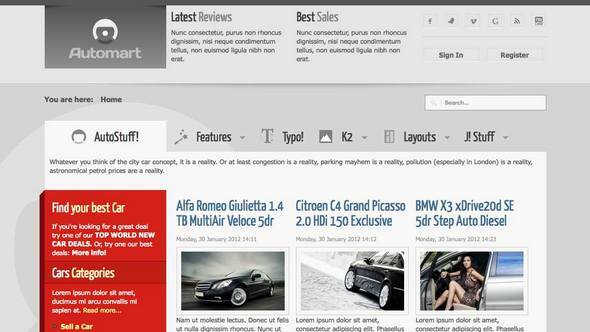 It appeals to websites about car sales or hires or about the promotion of other products relative to cars and not only. K2 is perfectly adapted for Automart and gives you a further advantage. Therefore, if you wish to be distinguished in the car market Automart is your ideal chance.